Seven has announced details of it ‘Olympics on 7′ app, available in a free version for Android and iOS, plus a premium upgrade at $19.95. The free version will include 900 hours of Seven, 7TWO and 7mate Live simulcasts plus another 300 hours of additional Live sport. The same content is also available online at www.seven.com.au/Olympics. The premium version features 36 channels with over 3000 hours of HD coverage, a Live News channel, catch up and replay. The pricing of the premium version is higher than a Netflix subscription despite the Games running for less than a month. Whilst the apps are available on AppleTV (4th gen) neither are supported by Airplay or Chromecast. Both apps are also geo-blocked to Australia in accordance with IOC rights. Kurt Burnette, Event Director, Olympic Games, and Chief Revenue Officer, Seven West Media, said: “No matter where, no matter when, Australians will see the Olympic Games as never before, accessible to Australia like never before. We will engage with audiences across multiple devices to leverage the extraordinary power and reach of broadcast television. “Our teams across the country and in Rio will play a part in the delivery and creation of some of the most powerful storytelling there is, the emotions, the highs, the lows — the great moments only the Olympic Games can bring. Clive Dickens, Chief Digital Officer, Seven West Media, said: The ‘Olympics on 7’ app and new digital products are part of our set, developed for Olympic rights holder broadcasters in over 100 countries, by the Olympic Broadcasting Service (OBS). Seven will deploy its Olympic Games content and coverage across an array of platforms – each leveraging, complementing and extending the network’s broadcast television coverage. Seven’s free-to-air television coverage of the Games represents the single largest technical and logistical undertaking by an Australian television network and, building on this, Seven is delivering a suite of digital products (including a premium upgrade option), to ensure Australians can have the Olympic Games to hand at all times. It will be the unmissable Olympic Games for all Australians. Commenting, Seven’s plans for its multiplatform coverage of the Olympic Games builds on the success of the network’s digital television coverage of the Australian Open tennis. This tennis coverage – across two channels and live-streaming of up to 16 additional courts – represented a significant step in digital television sports production for Seven and the Australian television industry. Seven continues to take the lead in the development of applications for digital television – building on our commitment to new broadcast technologies through our digital network broadcast centre in Melbourne and the construction of a state of the art digital facility in Sydney for our coverage of the Games of the XXXI Olympiad. Seven’s Olympic Games online presence is built to provide a similar depth of service as the network’s enhanced digital television channels but adds greater interactivity, as well as the ability to navigate deeper into Seven’s content offering. Yahoo7 will include the latest medal tally, Olympic results and news, and online polling, as well an Olympic program guide for Seven’s coverage. And building on these initiatives, Seven, and its partner Yahoo7, will deliver live streaming and highlights direct from the Games on the PLUS7, 7News and 7Sport apps. This is the first truly mobile and social Olympic Games. 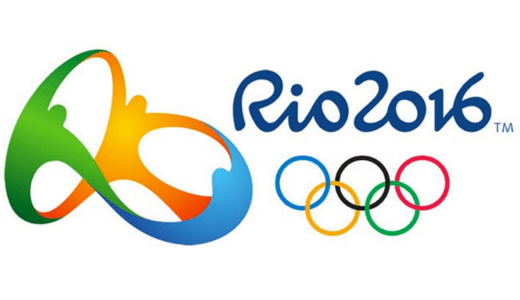 Our objective is simple: nobody needs to miss a single moment of Rio 2016. Across all social channels, the #7Olympics and @7Olympics conversation is open to everyone in Australia. I searched for “Olympics” on the appleTV 4 store last night and it did not come up. Has anyone found it in the store? I would probably have gone premium because I enjoy the Olympics but no AirPlay support means I won’t worry about it. Is there a reason AirPlay isn’t supported in some tv or streaming apps? Disappointed that if I want to pay for the premium version of the app that I cant Airplay it. HD is very exciting, is this the first time one of the Aussie broadcasters have done HD on their streaming service? Not sure about the online version, however the premium content through the app is free for Telstra customers. Downloaded the Olympics on 7 app this morning. I have looked through the PDF and noticed that the Rio 2016 Highlights will be televised on 7. Will I still have the opportunity to stream this highlights on iPad? I suppose considering the cost of putting the games to air and satellite costs it does offer decent value for money.